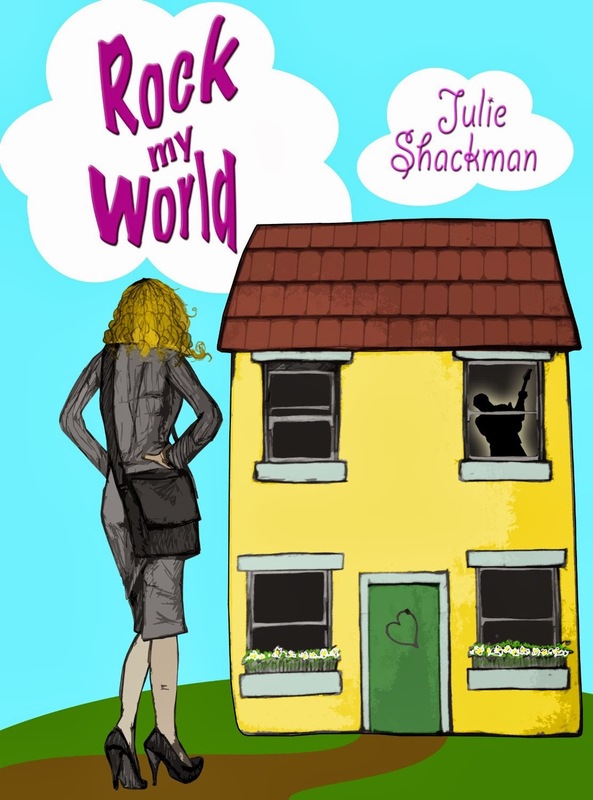 Today Julie Shackman is visiting Love Reading Romance to talk about her novel Rock My World and her favorite genre: ROMANCE! “Love Makes The World Go Round” By Julie Shackman. staring off moodily into the middle distance? over my shoulder in a threatening manner. I’d study my notebook, look into the depths of my latte and then stare across the table. grey eyes, I’d tune into the music playing in the background and write. Drawing on all the wonderful books I’ve read and am still reading, I knew I just had to go for it. me into wonderful situations and breath-taking worlds. Then there were other moments when it didn’t come quite so easily. But from beginning to end and in between, I loved every moment of writing “Rock My World”. from reading it as I did writing it. there are a lot of positives to having an active imagination too…! I trained as a journalist but writing romance has always been a dream of mine. When I’ve not got my head in a book or drafting one, I write verses and captions for greetings card companies. Writing at home seems to be incredibly difficult for me – I usually require coffee, music and noise. Rock My World by Julie Shackman was released by Not So Noble Books on February 9 2014, and is available from Amazon.